In January 1949, the first Volkswagen (VW) Beetle arrived in the United States. By July 2015, Volkswagen had become the largest automaker in the world and a trusted brand in America. However, just months after reaching this accomplishment, the Environmental Protection Agency (EPA) announced that Volkswagen would be ordered to recall hundreds of thousands of diesel engine vehicles in the United States. The EPA is requiring the recall of diesel-powered Volkswagen cars that reportedly have had software installed that could fake emissions testing results. 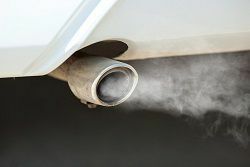 The software was allegedly intentionally installed by VW employees so that vehicles did not have to comply with pollution prevention standards. According to news reports, Volkswagen officials have admitted that the software would turn on during emissions testing and would turn off at other times so that the cars had better performance and fuel economy on the road. In 2009, new auto emissions standards were introduced in the United States. At the time it was believed that Volkswagen was the first car company to meet these standards. However, evidence now suggests that Volkswagen intentionally made cars that faked emissions testing results, and thus vehicles that did not comply with the standards were approved for sale. Instead, the cars may actually release as much as 40 times the permissible legal limits of nitrogen oxide. Nitrogen oxide, a gas that is a component of urban smog, has been linked to respiratory issues such as asthma and bronchitis. It is believed that approximately 500,000 VW vehicles in the United States will be part of the EPA-mandated recall, and that about 11 million vehicles are impacted around the globe. VW models that may be included in the United States recall include the Volkswagen Passat, Jetta, Golf, and Beetle, and the Audi A3. However, the formal recall has not been issued yet because as of late September 2015, Volkswagen has not told the United States government how it will fix the known problem. According to the New York Times, however, any fix that VW develops to fix the emissions testing will “reduce the performance, drivability, or fuel economy” so that emissions standards can be met. The EPA provides automakers with what the agency calls a “reasonable time” to identify necessary corrective action and develop a recall plan. Volkswagen has reportedly set aside about $7.3 billion to cover the costs of fixing the cars involved in the recall. While the VW vehicles included in the recall are reportedly safe to drive, many consumers are understandably upset that their vehicles may violate emissions standards. Consumers should watch for further news of the recall and the specific actions that Volkswagen will be implementing to try to fix the problem. If you own one of the affected Volkswagen cars, then you may have the right to join a class action lawsuit. Please start a live chat with us today to learn more about your rights.